February 4 – In a recent article for the Turkish newspaper Aydınlık, Ismail Hakki Pekin, former chief of the Turkish General Staff Intelligence Department, warned that Turkey is moving step by step to war. In an interview, Pekin commented on his assumption, saying that Ankara has found itself in a difficult situation, particularly due to foreign pressure. “The United States and Egypt are trying to force… Turkey to make certain concessions, including establishing a Kurdish autonomous region in northern Syria and talks with the Kurdistan Workers’ Party (PKK) inside Turkey,” Pekin said. According to him, if such a Kurdish entity is established Ankara would be “encircled from the south” and will have to fight a “war on two fronts,” against Daesh in Syria and against PKK inside the country. Pekin underscored that in order to achieve its goal, Washington is providing military and logistical support to the PKK, including supplying heavy weapons, anti-tanks missiles and armored combat vehicles. “For Ankara, the only chance to derail this plan is to establish dialogue with Damascus and boost cooperation with Russia, Iran and Iraq,” he said. Pekin underscored that Turkey should take as soon as possible certain measures to repel the threat. He also commented on the upcoming Turkish constitutional referendum on switching to a presidential system of governance. The controversial bill seeks to give President Recep Tayyip Erdogan sweeping powers in a move described as a power-grab by the opposition Republican People’s Party and the pro-Kurdish Peoples’ Democratic Party. According to Pekin, the referendum could lead to social clashes in Turkey since it would only deepen tensions in the society. “I think that Turkey should preserve its parliamentarian system, and the referendum risks splitting the Turkish people. In the current situation, any results of the vote could lead to a social disaster,” he concluded. Turkish Prime Minister Binali Yildirim said that Turkish artillery and tanks are supporting the northern Iraqi Kurdish forces Peshmerga in the operation to liberate the Iraqi settlement of Bashiqa from the Daesh terrorist group. ANKARA . Turkish artillery and tanks are supporting the northern Iraqi Kurdish forces Peshmerga that participate in the military operation aimed at liberation the northern Iraqi city of Mosul from the Islamic State (ISIL or Daesh) terror group, Turkish Prime Minister Binali Yildirim said on Sunday. “The Peshmerga forces during the operation aimed at liberation of the Iraqi settlement of Bashiqa from IS asked the Turkish military deployed at the base near Bashiqa for support,” Yildirim said, as quoted by the Turkish NTV outlet. He pointed out that Turkish air forces if necessary may assist in liberation of Mosul adding that the necessary agreement has already been reached. Yildirim also said that along with the Iraqi armed forces and the Peshmerga, militia trained at the Bashiqa base by Turkish military is also taking part in the operation. On October 17, Iraqi Prime Minister Haider Abadi announced the start of a military operation to retake Mosul from Daesh. 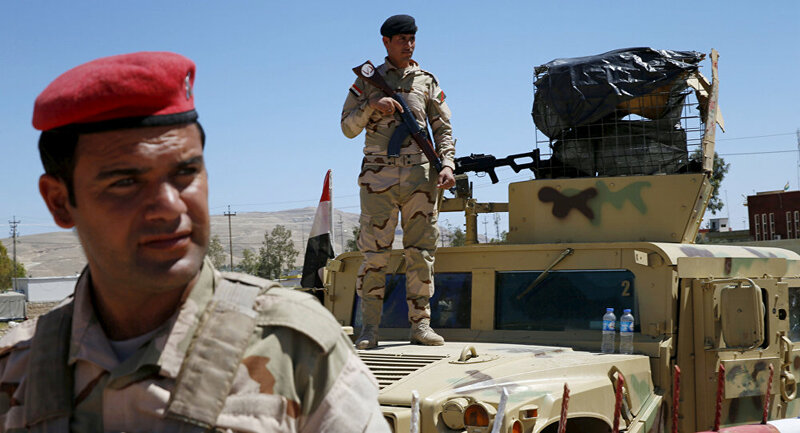 According to local media, about 30,000 Iraqi soldiers and 4,000 Kurdish Peshmerga fighters are taking part in the operation, backed by airstrikes carried out by the US-led international coalition. Daesh terrorists have launched an offensive on Kurds’ positions to the North of Aleppo following alleged airstrikes by US-led coalition aircraft, Kurdish militia told Sputnik. “Daesh terrorists started attacks on the positions of Kurdish fighters in Hassajek after US-led coalition airstrikes. The attacks were repelled, but fighting to the south of the village continues,” a source in the Kurdish militia said. According to the representative of the Kurdish militia in Hassajek, the Free Syrian Army units attack the village from the north. 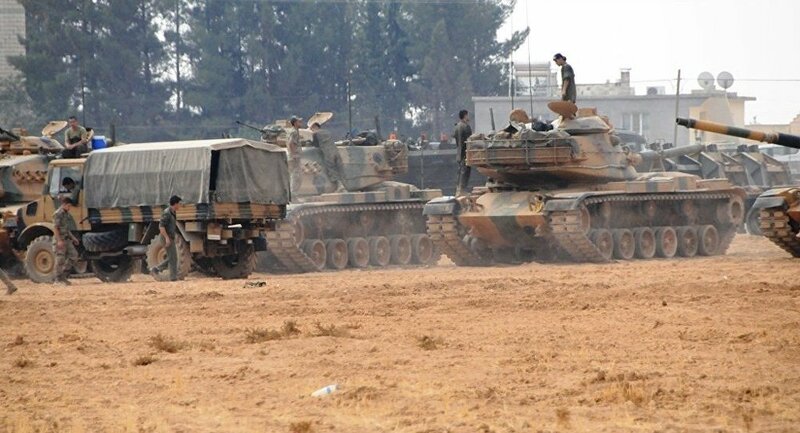 “Turkish artillery covered the Free Syrian Army’s offensive on Hassajek from the north. At least 30 artillery volleys were conducted on Hassajek and nearby suburbs,” the source told Sputnik. The Russian center for Syrian reconciliation said Tuesday it had received local reports of an airstrike on Hassajek that killed six people and wounded at least four. According to its bulletin, Russian or Syrian aircraft did not operate in the area at the time of the strike while air traffic control systems detected two F-16 fighter jets of the Air Force of the Kingdom of Belgium at the time of the strike. On Wednesday, the Russian Foreign Ministry called on the US-led counterterrorist coalition to condemn the deadly airstrike in Syria by one of its allies. “Up until now Russia and Iran have helped to maintain cordial relations between the Syrian Kurds from the Democratic Union Party (PYD) and Damascus. The PYD made a mistake when it opted to cooperate with the US,” he said. 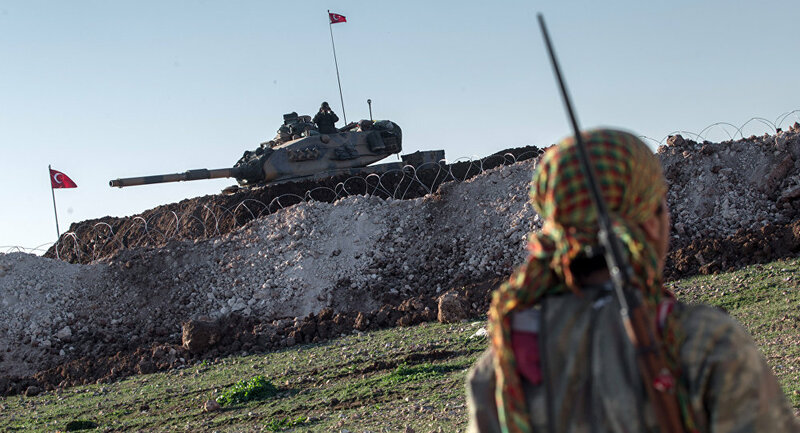 Kurdish militias, assisted by the US, have been trying to push radical groups, including Daesh and al-Nusra Front from northern Syria and secure the porous border with Turkey. At the same time, the Kurds have established a de-facto autonomy in the areas under their control.Mahalli emphasized that any efforts on the part of the PYD and the People’s Protection Units (YPG) to create an independent state will be a mistake that could not be undone. “The Americans have repeatedly said that they have a Plan B for Syria. Perhaps, this is what they meant. I’m afraid that the US has decided to drag the Kurds into a large-scale bloodbath,” he added. 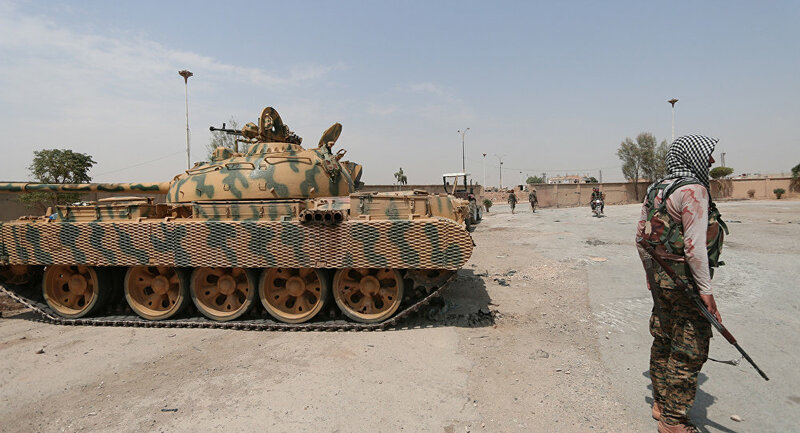 The standoff in Hasakah was sparked last week when the Kurdish forces tried to take the entire city under control, violating the ceasefire regime. The Kurds are reported to have captured large parts of government-held areas in Hasaka on Tuesday. The same day the YPG and Damascus-led forces agreed to halt fighting. The ceasefire came into force at 11:00 GMT. The political analyst maintained that these events are part of a larger US plan for the region. “If the West is serious about its large-scale geopolitical games – and judging from what is happening in Hasakah, it is – then the situation is disturbing,” he said. The clashes between the Kurdish militias and the Syrian Arab Army (SAA) took place at a time when a major stakeholder, Turkey, made a U-turn in its foreign policy.Turkey recently improved relations with Russia and Iran. The two countries were swift in providing support to the Turkish authorities when a group of military officers tried to overthrow the government on July 15 despite the fact that they were on the opposing sides of the Syrian conflict. Ankara sponsored radical groups trying to overthrow President Bashar al-Assad, while Moscow and Tehran have tried to prevent Islamist from destroying the Arab country. Mahalli further said that Turkey has found itself in the hot water. On the one hand, approximately 15-20 million Kurds live in Turkey. On the other hand, Ankara has become the target of Islamist terrorism even though the country supported radical groups fighting in Syria. “The only right choice Turkey could make is to admit its mistakes and act decisively to overcome the deadlock. The Turkish leadership needs to act decisively. Should it wait for the outcome of the presidential election in the US, the implications could be hard to predict. My main concern is that Turkey will ultimately be shattered,” he noted. An estimated 50,000 Iraqi soldiers, backed by 20,000 Peshmerga fighters, 10,000 Turkmens and members of Sunni tribes will take part in the offensive.“The Iraqi army and Sunni tribesmen will be spearheading the offensive, with Peshmerga and Turkmen forces bringing up the rear. Coalition air forces will provide air cover. The Peshmerga said they would not enter the center of Mosul arguing because it just won’t be right for Kurds to take control of an Arab city,” Helgurd Hikmet said.